a guide to Lithium treatment for patients and their families. 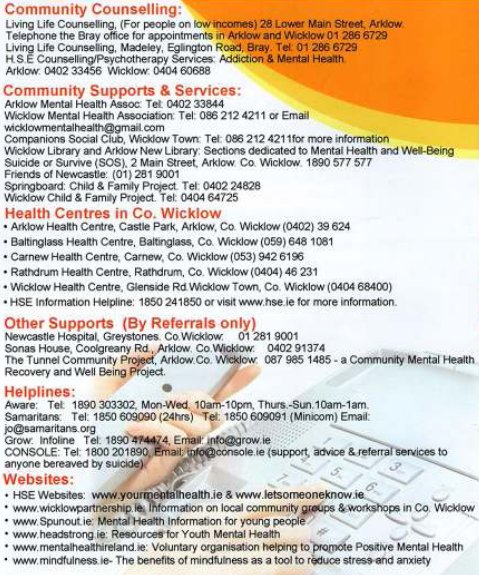 A Vision for Change’ is a strategy document which sets out the direction for Mental Health Services in Ireland. It describes a framework for building and fostering positive mental health across the entire community and for providing accessible, community-based, specialist services for people with mental illness.